Jessica specializes in audits of employee benefit plans and internal audit. Her employee benefit plan engagements have included both defined contribution plans – including 403(b), 401(k), profit sharing, and health & welfare plans, employee stock option plans – and defined benefit plans, with plans ranging in size from $1 million to $400 million in total plan assets, and the number of participants ranging from 100 to 18,000 employees. She also serves as a leader of the internal audit practice for State and Local Governments and works with a variety of clients to improve processes and controls in various operational and financial areas. Jessica is a Certified Public Accountant (CPA) licensed to practice in the state of New Mexico. She is a member and serves on the board of the local chapter of the Institute of Internal Auditors. 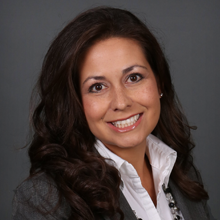 She is also a member of the American Institute of Certified Public Accountants (AICPA), Association of Governmental Accountants (AGA), and New Mexico Society of CPAs (NMSCPA), which in 2015 named her a “Woman to Watch.” In 2013 Jessica attended the NMSCPA’s Leadership Academy. Jessica is a member of the Board of Directors and serves as vice-president of CLNKids, an organization whose mission is to end child homelessness in Albuquerque through early childhood education, parent support and community involvement. She is a member of the Future Fund of the Albuquerque Community Foundation, and serves as treasurer on the Board of the Chi Omega House Corporation Board.